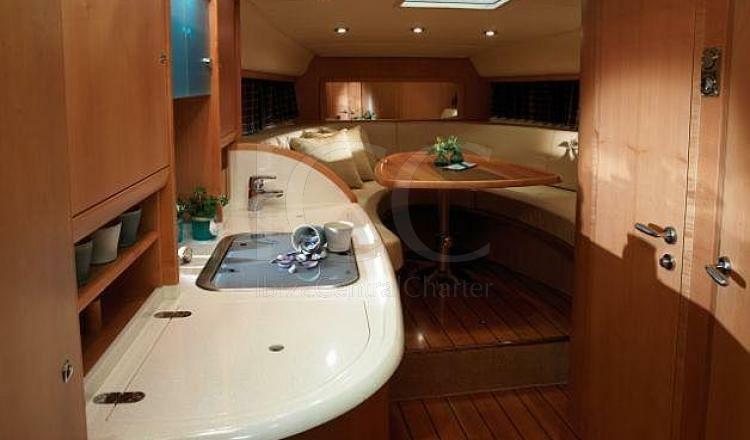 Sail along the Mediterranean Sea in the company of family or friends and relax in this comfortable Windy 33. 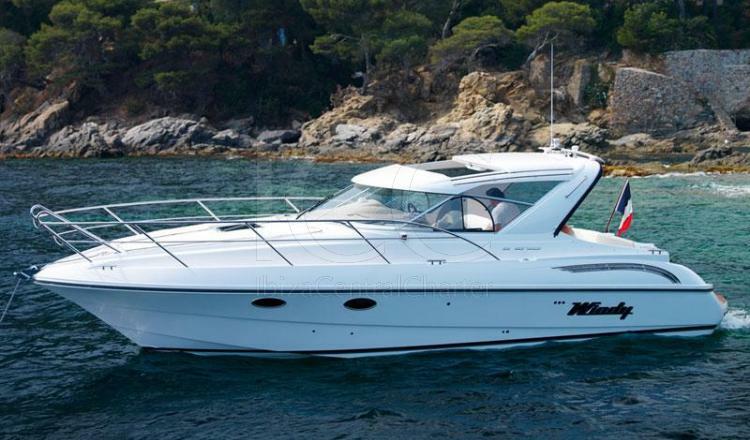 The Windy 33 is a magnificent sports boat from the renowned Windy shipyard. It has 11 meters in length and 2 Volvo Penta 260Hp engines, offering great speed and comfort comparable to the larger boats. Its design has a sensational distribution and a deep V-hull that improves the safety on board as well as increases the efficiency of navigation. 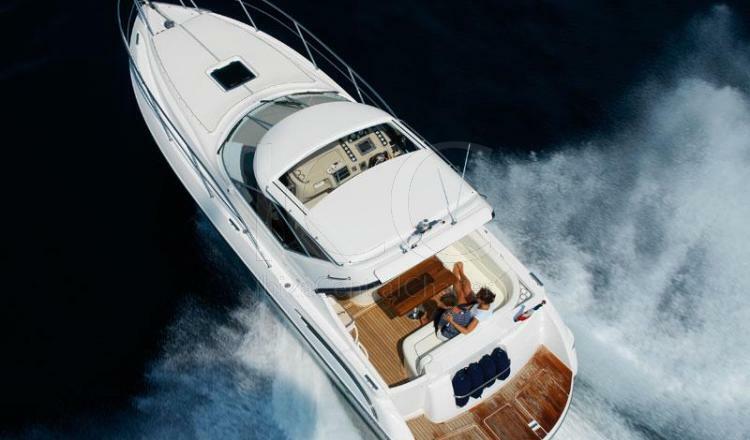 As it is a versatile boat, it obtains good sailing conditions in any sea condition. 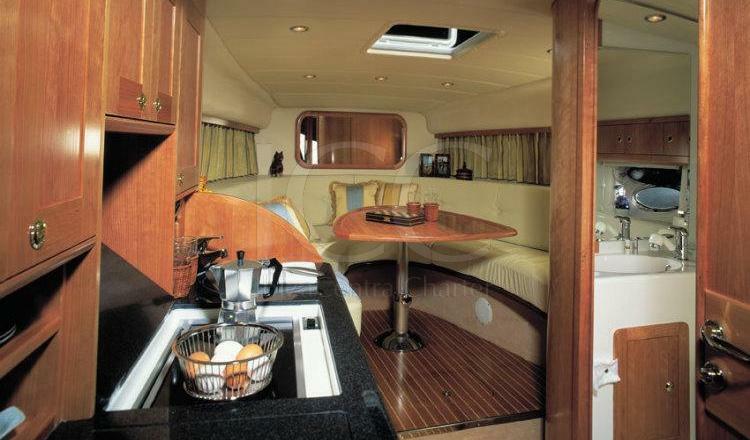 It is equipped with some mats in the bow for those who want to relax in the sun and a dinette with a table in the bath, ideal to enjoy a meal in the open air or a dinner under the light of the stars. The bathtub is covered by a rigid roof with side windows and a sliding hatch that lets in the sun. Inside there is a lounge with V-shaped seats with a table that converts into a double berth, as well as a double cabin to accommodate 4 people. 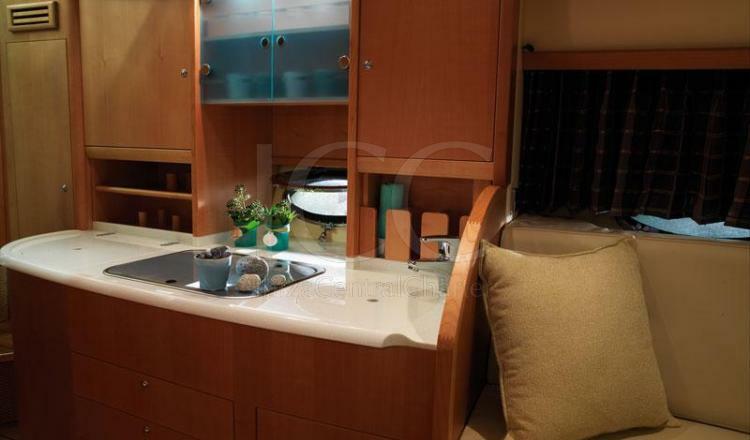 It has a full kitchen with large storage capacity and a bathroom with two entrances, one for the living room and another for the cabin. Undoubtedly, Windy 33 is the perfect boat to enjoy a few days in family.